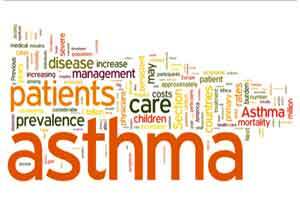 London : A new asthma drug currently in development has been found to reduce exacerbations in severe, uncontrolled asthma in two advanced trials involving more than 2,500 patients. A year’s course of benralizumab injections has led to a significant decrease in the frequency of asthma exacerbations cutting the rate of exacerbations by a third to a half compared with placebo among people with the most severe form of asthma, the findings showed. The two trials, published in the journal The Lancet, looked at the safety and efficacy of benralizumab as an add-on therapy for patients with severe, uncontrolled asthma a group of patients who have few treatment options available and high rates of hospitalisation. “Additional therapeutic options to control severe asthma are urgently needed and our findings support the use of benralizumab as an add-on therapy for the treatment of severe asthma with persistent eosinophilia,” said one of the researchers J. Mark FitzGerald from University of British Columbia, Vancouver, Canada. Eosinophils are a type of white blood cell and part of the immune system controlling the mechanism associated with allergy and asthma. Many patients with severe, uncontrolled asthma have high levels of eosinophils in the blood and airways (known as eosinophilia) which is associated with frequent asthma exacerbations, high symptom burden and impaired lung function. Cytokine interleukin-5 (IL-5) is the main driver of eosinophil proliferation, maturation, activation and survival. Two currently available drugs, mepolizumab and reslizumab, target the IL-5 molecule itself to stop the process of eosinophil maturation. Benralizumab, on the other hand, uses a different pathway by targeting the IL-5 receptor, causing eosinophil apoptosis (cell death). “The results from both trials indicate that benralizumab treatment once every four or eight weeks decreased eosinophil counts, reduced asthma exacerbations, and improved lung function for patients with severe, uncontrolled asthma with eosinophilia” FitzGerald noted. The drug could be available to patients by the end of next year, The Telegraph reported.